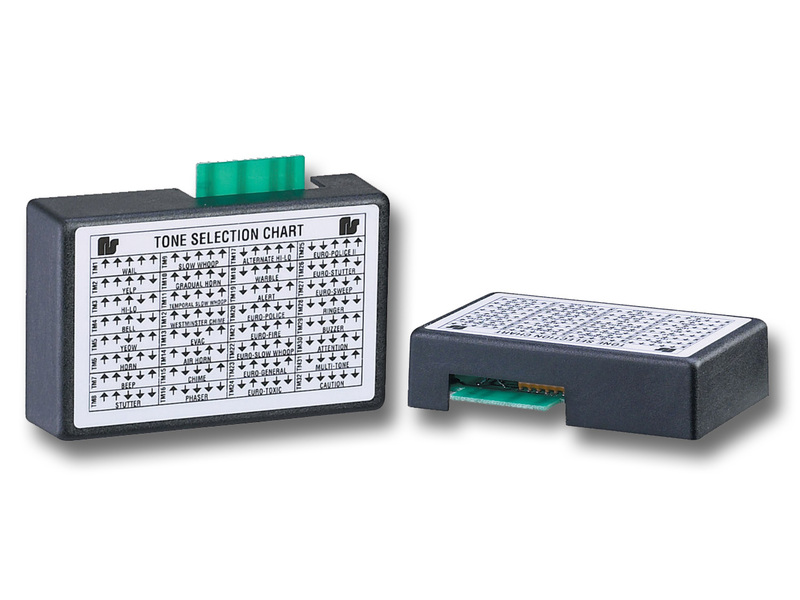 The UTM is a microcontroller-based tone generator capable of producing 32 different tones. The UTM is the key component of a SelecTone® System or a single SelecTone device. Tone selection is made by setting five DIP switches. Housed in a plastic cover impregnated with stainless steel fibers, the circuitry is shielded from RFI (radio frequency interference) and EMI (electro-magnetic interference). The edge connector allows for quick and simple installation. In addition to working with the entire SelecTone® line of speaker/amplifier products, the Model UTM is compatible with the EM3 Extension Module, 300VSC-1 Command Unit, 300VSC-1044SB Command Unit and 300SCW-1 Command Unit. The UTM provides crisp, clear digital signals easily distinguished from the ambient noise of commercial, institutional and industrial environments. All tones can be reviewed under the resource section on www.fedsig.com.